The Columbia political student community is busy planning for the 2017 Voting Week, October 2-6. Please check back for more details. Voting Week has been proud to host Rhode Island Governor Lincoln Chafee, New Mexico Governor Gary Johnson, New York City Mayor David Dinkins, Prime Minister of Iraqi Kurdistan Barham Salih, and many other distinguished speakers. Learn more about our history and see our 2014 and 2015 schedules. The 2016 schedule is posted below. Ralph Nader: Make a Difference (9/19) | Lerner 555, 12 p.m.
Presidential Debate Watch Party (9/26) | Carman/Lerner, 8:30 p.m.
National Voter Registration Day (9/27) | Lerner Tables, 12 p.m.
Presidential Debate Watch Party (10/9) | Butler South Lawn, 8:45 p.m. Divest Tar Sands Teach-In | Lerner 569, 4:30 p.m.
A Conversation with Shaun King | Lerner Roone, 6:30 p.m.
Conservative Media and the Electorate | Earl Hall, 5:40 p.m.
Art as Expression: Combat Paper | Dodge Plaza, 10 a.m. Awakening Our Democracy | Pulitzer 300, 12 p.m.
American Politics 101 for International Students | Lerner 510, 6 p.m.
Michael O'Neil, Green Party | Lerner Roone, 6:30 p.m.
Asian Americans: Voters on the Rise | Lerner Broadway, 7:30 p.m.
Larry Sharpe, Libertarian Party | Lerner Roone, 6:00 p.m.
Christine Quinn, fmr. New York City Speaker | IAB 1512, 6:00 p.m.
"I Voted" Film Screening | (Location TBA) at 8 p.m.
Lerner Hall, Room 569 | Doors open 4:30 p.m.
Join Columbia Divest for Climate Justice for a teach-in on The Advisory Committee on Socially Responsible Investing's (ACSRI) proposal to divest from tar sands. We will spend the first 30 minutes unpacking the proposal, discussing details and taking any questions, and then we will have time to fill out the survey. Bring a laptop if you want the administration to hear your thoughts on divestment! Event from 5 p.m. - 6:30 p.m.
Lerner Hall, Roone Auditorium | Doors open 6:30 p.m. | Tickets Required! Learn more and reserve your ticket here. Come listen to Black Lives Matter activist, Shaun King, speak about the movement and its impact on the election. King is a prominent voice within the movement who has written extensively on discrimination, police brutality, the prison-industrial complex, and social justice. He is also a Senior Justice Writer at the New York Daily News and was for Daily Kos. Make sure to reserve your free ticket in advance: all attendees must have a ticket. Event from 7 p.m. - 9 p.m.
Earl Hall | Doors open 5:40 p.m.
Join us for a discussion on the conservative media and their impact on the electorate. The Columbia University College Republicans hosts JP Miller, a conservative media expert who has been working in politics for the last 15 years for State legislators to Presidential Candidates and every level in-between. Miller will discuss conservative media and in particular, the EMPIRE REPORT, a conservative media website. Miller will also provide insight to students who are interested in working on campaigns, in government, and in the media. Event from 6 p.m. - 7 p.m. Dodge Plaza | Workshop begins 10 a.m.
Join campus veterans groups and the School of General Studies for a participatory workshop, transforming military uniforms into handmade paper on Dodge Plaza. Then, come to an exhibition of the paper produced over the course of the day in Dodge Hall for a related poetry reading. Event from 10 a.m. - 5 p.m.
Pulitzer Hall, Room 300 | Doors open 12 p.m. | Tickets Required! Register online for this event here. Join us for the latest in Columbia's series of thought-provoking lunchtime conversations on race, ethnicity, inequalities and justice. Professor Jelani Cobb of Columbia Journalism School and The New Yorker moderates this discussion on the impact of a dominant two-party system on our country and communities. Come listen to Dave Levinthal of the Center for Public Integrity, racial justice and civil rights activist Linda Sarsour, and Columbia's Wallace S. Sayre Professor of Government Robert Y. Shapiro discuss. Hosted by Columbia's Office of University Life. Make sure to reserve your free ticket in advance: all attendees must have a ticket. Event from 12 p.m. - 1:30 p.m.
Want to learn more about the American government and politics? Want to join in on your friends' conversations about the upcoming election? Join International @ Columbia for a (non-intimidating!) session, facilitated by Columbia students, Jay Rappaport, to learn more about the structure of American government and various political topics relevant to the current presidential election. This session is tailored to your needs as international students. Dinner will be served! Hosted by Columbia's Office of Multicultural Affairs, the International Student Advisory Board, and the Roosevelt Institute. Space is limited; make sure to ensure your free spot by clicking the link above! Event from 6 p.m. - 7:30 p.m.
Michael O'Neil, Green Party organizer based right here in New York City, will discuss the current state of voter rights in the United States. Coffee and tea reception to follow! Event from 7 p.m. - 8 p.m.
Lerner Hall, Broadway Room | Doors open 7:30 p.m.
Asian Americans and Pacific Islanders are the nation's fastest growing voting demographic. And, they stand to be a stronger voting force than ever before in the imminent election season. Join Asian American Alliance and community organizer Aries Dela Cruz (GS '09) for a discussion on why AAPI voter mobilization is so important. Then, engage in an on-site phone banking workshop to help get the AAPI vote out! Event from 7:30 p.m. - 8:30 p.m.
Lerner Hall, Roone Auditorium West | Doors open 6 p.m.
From serving as a U.S. Marine to being a candidate for the Libertarian Party' Vice Presidential Nomination, Larry Sharpe has been providing guidance across a wide variety of fields. Sharpe will discuss the risks and challenges of pursuing a seemingly endless war on drugs and terror. Coffee and tea reception to follow! Event from 6:30 p.m. - 7:30 p.m.
Hon. Christine Quinn, Vice Chairwoman of the New York State Democratic Committee, CNN political contributor, and former Speaker of the New York City Council will discuss the 2016 presidential race, the 2013 New York City mayoral race, and her current work as President and CEO of Win, the largest nonprofit serving homeless women and their families in New York City. Hosted by the School of International and Public Affairs "Urban and Social Policy" concentration and "United States" specialization. Space is limited; make sure to ensure your free spot by clicking the link above! Hamilton 517 | Doors open 7 p.m.
An unknown South Carolina candidate inexplicably wins his U.S. Senate primary in a landslide, despite never having campaigned. In "I Voted? ", filmmaker Jason Grant Smith sets out on an odyssey to expose the loopholes and pitfalls of our electoral system. On the way, he opens a Pandora's Box of qusetions about America's voting process. Join the Roosevelt Institute for this screening! Carman and Lerner Hall | Doors open 8:30 p.m.
No matter what side of the aisle you fall on, join us as we watch the first presidential debate of the year! Carman Lounge: "Join your FYA RAs for a Presidential Debate Watch Party! Learn more about United States politics, befriend other fellow Columbians, and enjoy the refreshments provided. 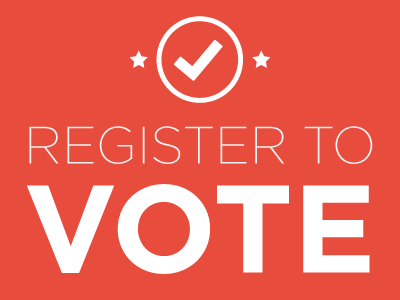 We can also help you register to vote and file for absentee ballots!" RSVP on Facebook here. Lerner Piano Lounge: "Join PSSA for our first event of the year! We'll be watching the Presidential Debate with live commentary from Columbia Professor Miller. Also free pizza and drinks will be provided!" RSVP on Facebook here. Getting involved and making a difference can seem overwhelming. Fear not, says American political icon, Ralph Nader: It's easier than you think. Come hear Mr. Nader discuss ways you can get involved during this Voting Week preview event. This event will be moderated by Columbia Political Science Professor, Andrew Nathan. Coffee and tea reception to follow! Make sure to reserve your free ticket in advance: all attendees must have a ticket. Event from 12:30 p.m. - 1:30 p.m.; Book signing from 1:30 p.m. - 2 p.m.
Lerner Ramp Tables | Tabling begins 12 p.m.
Join us for National Voter Registration Day! Bring your roommates, floormates, friends, and self to the Lerner Ramp Tables to register to vote and file for your absentee ballot! The process is quick and easy, and thanks to Columbia Turbovote, you'll even get all the free postage you need to send in your paperwork. We'll be out on the ramps until 6 PM! Event from 12 p.m. - 6 p.m.